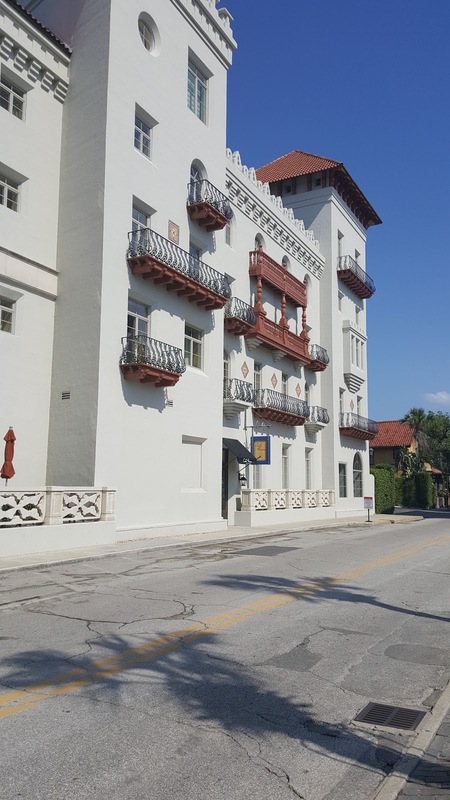 A1A Ale Works Archives - ITB Travels! While early July is a very, very, very hot time to visit St. Augustine, Florida, we continue to do so year after year. And, we’re not the only ones! From the early morning hours until the late night (late night here is about 11pm! ), the streets are packed with tourists, artists, residents and passers-throughs. Some ignoring the blistering heat, some trying to ignore it, but all truly in it. We arrived at the lovely, albeit dated, Casa Monica hotel and checked in. An earlier guest was fortunate enough to get our preferred room, 212, so we were booked, for the first time, in a room on the 4th floor. 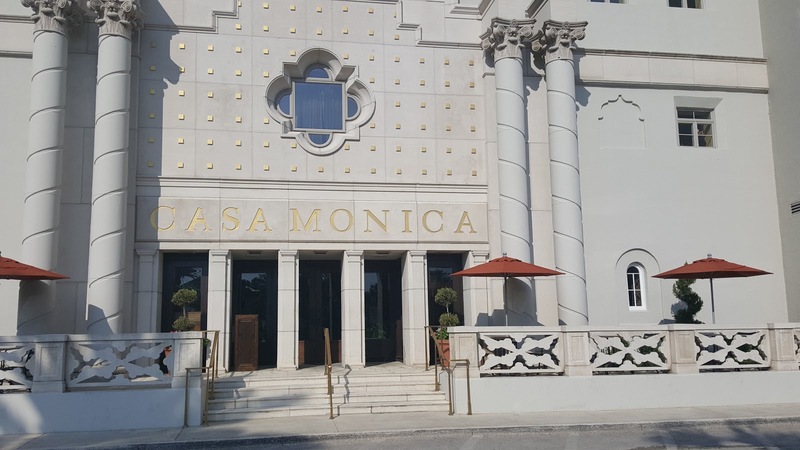 It’s been a couple of years since we’ve stayed at the Casa Monica. While the common areas are as grand, and as beautiful as ever, the guestrooms could use some serious updating. The old carpet smell greets you upon entry into the rooms. Not dirty, but definitely old. The walls and doors are thin. You can hear every sound through them. And the bathrooms! Oh my! They look as if they haven’t ever been updated. Ever! The comfortable bed and pillows made up for what the dated room lacked. So, all was well. We decided to brave the late afternoon heat and head out for a walk and a snack. 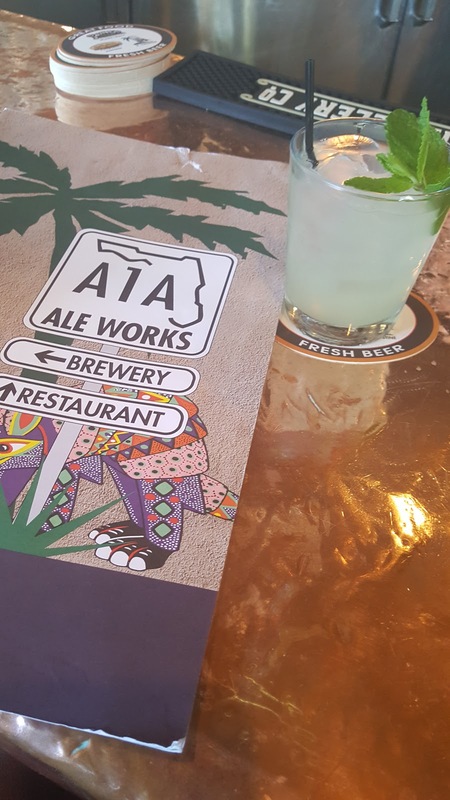 A1A Ale Works caught our eyes. In a perfect location on King street, facing the lovely Matanzas Bay, this place is a must visit! The menu features Floridian, Caribbean and Cuban-influenced selections, there’s a working brewery, and 2 bars. Try the lump crab cakes with Cajun remoulade and the fried calamari with wasabi aioli. Amazing! 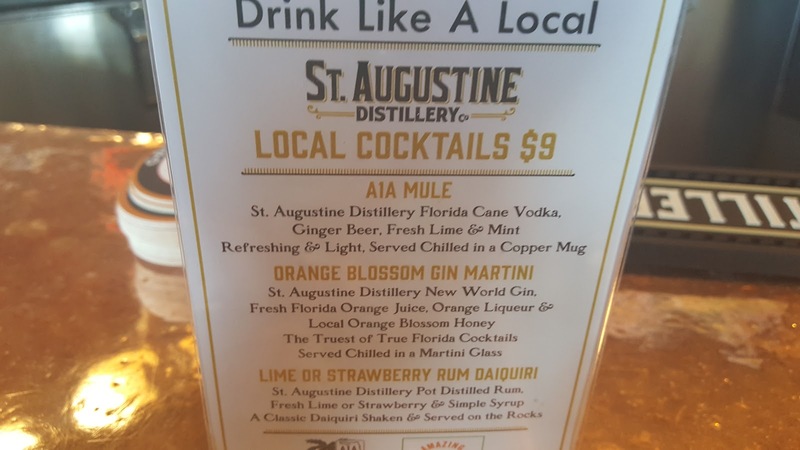 We topped off our snack with refreshing A1A/Florida Mules…ginger beer poured over St. Augustine vodka, fresh lime and mint. Refreshed and full, we headed out to stroll the historic Lincolnville section of St. Augustine. After just a few steps, the heat hit us like a ton of bricks. Well, at least that was the excuse we used for having to step into a place with a big sign that read “Come In and Cool Down with Frozen Wine Smoothies”. 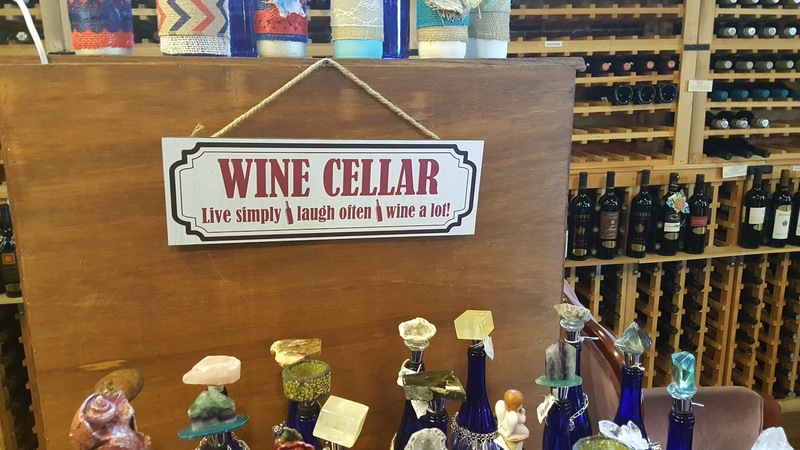 Little did we know that Vino Del Grotto would become a daily stopping point for us, making the hot St. Augustine summer days much easier to bear.